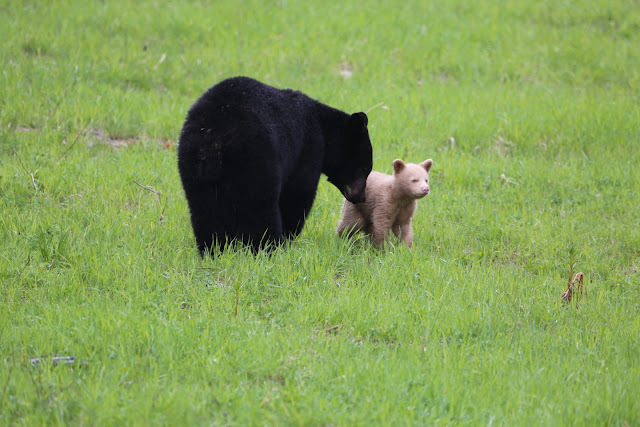 That conclusion, says de Jong, is based on no identifiable pigmentation on the cub, and on its pink nose. Spirit bears have black noses. 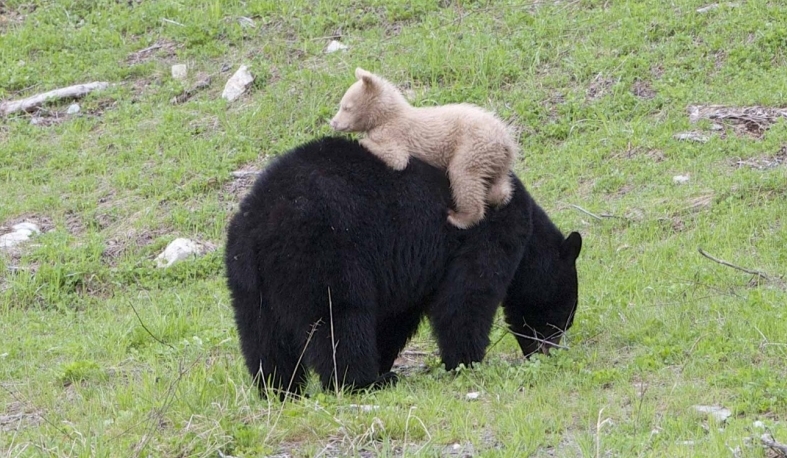 Whistler bear expert Michael Allen says the recent discovery of a nearly white bear cub in the area's mountains is the first he's seen in 23 years of research. "I have seen cubs ranging [from] black, reddish-brown, chocolate-brown to blonde (after summer bleaching of coat) but, never have [I] seen in this population, a cub with pelage this light to almost white," he wrote earlier this week in an entry posted to his daily bear viewing report. 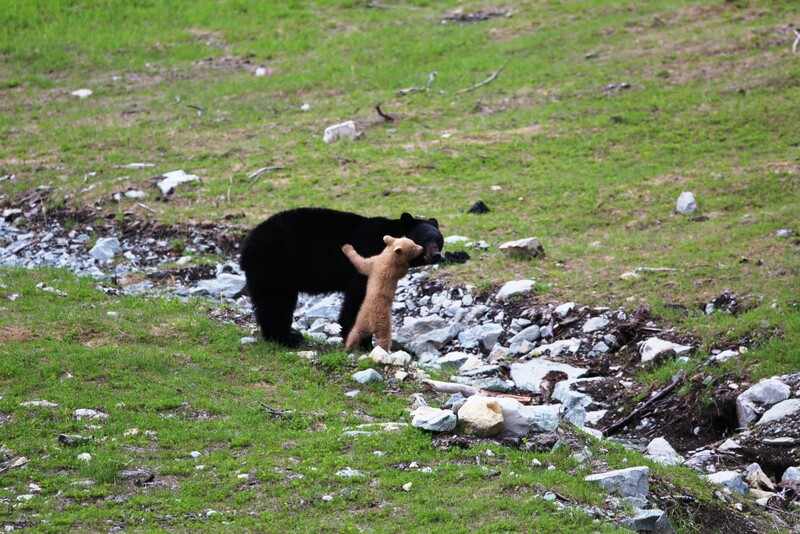 Tour guide Kathy Jenkins spotted the rare cub out with a resident black mother bear last week. 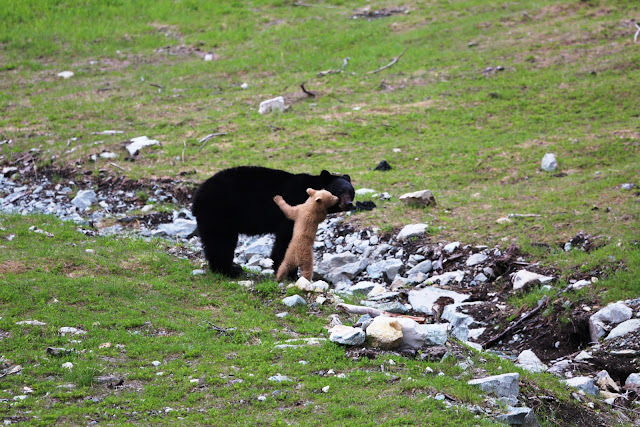 Arthur De Jong says he saw the cub frolicking with its mother on Whistler-Blackcomb mountain last Thursday, a couple of days after Jenkins first caught a glimpse of it. 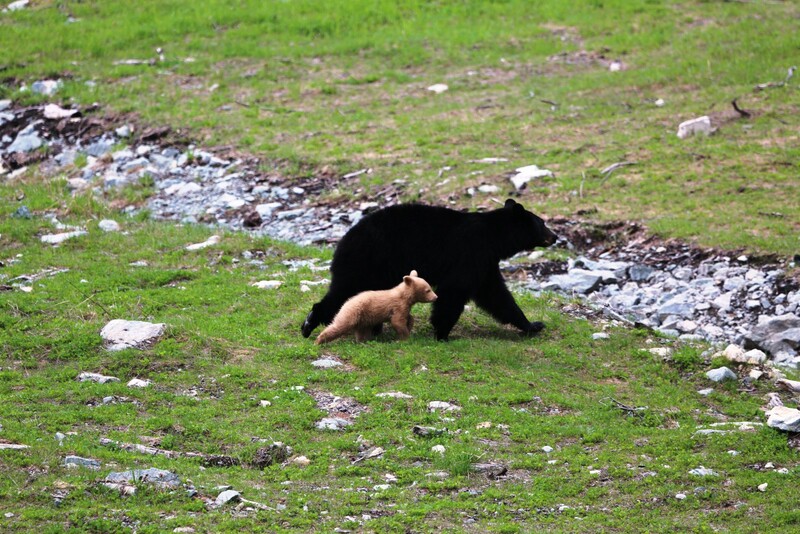 The environmental planning manager for Whistler-Blackcomb says such a bear had never before been seen in the ski area and he snapped some photos when he spotted it by "pure chance." 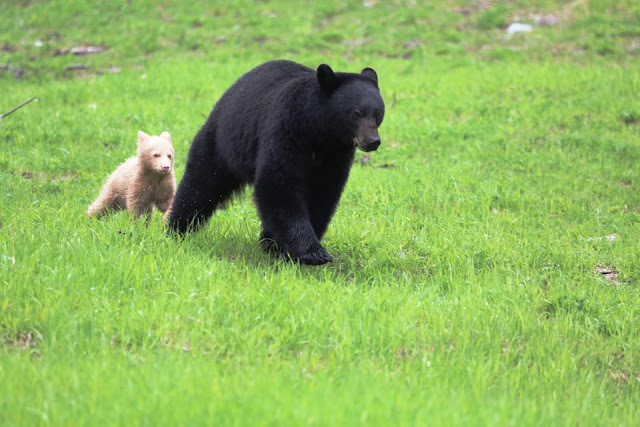 De Jong says bear cubs have about a 50 per chance of survival in the first year of life and he's concerned about the "little guy" eating garbage and becoming habituated to people. De Jong says that so far, experts are leaning toward it being albino because unlike a kermode, it does not have a black nose or pigmentation. Responses to "A unique encounter with world's rarest cream-coloured black bear "